WILBERFORCE, Ohio – The Central State Department of Intercollegiate Athletics will welcome six individuals and two teams into the Marauder Athletic Hall of Fame this Friday. The athletes and teams who will be inducted this year represent different eras of Marauder athletics dating back to the 1960s up to the mid-1990s. The Central State athletic department will also pay special recognition to CSU’s 1968 men’s basketball team. Led by legendary head coach Bill Lucas, the ’68 Marauders finished the season with a 29-4 overall record while claiming the program’s second NAIA National Championships with a dramatic 51-48 win over Fairmount State in the championship game. Legendary radio personality, entrepreneur, and philanthropist Tom Joyner will serve as the event’s keynote speaker. Joyner is one of the most celebrated and recognized media icons in the country today. As host of the nationally syndicated radio program The Tom Joyner Morning Show, Joyner empowers and entertains more than 7.4 million listeners each week on nearly 100 stations nationwide. A recognized leader within the industry and his community, Joyner has received many accolades throughout his career, including the National Association of Broadcasters’ Marconi Award, Billboard’s “Best Urban Contemporary Air Personality” award, the NAACP Image Award and many more including honorary doctorates. He has been inducted into the Radio Hall of Fame. In addition, Naismith Basketball Hall of Fame member Earvin “Magic” Johnson is scheduled to attend the event and provide remarks. After a legendary career in the NBA, Johnson has become the most powerful African-American businessman in the world. Having left the basketball court for the boardroom, Johnson has successfully parlayed his skills and tenacity on the court into the business world as Chairman and CEO of Magic Johnson Enterprises (MJE). MJE provides high-quality products and services that focus primarily on ethnically diverse and underserved urban communities through strategic alliances, investments, consulting and endorsements. The 2018 Hall of Fame Luncheon will be held this Friday at the Country Club of the North. Tickets to the induction ceremony are available for $60.00 each and can be purchased online at http://centralstate.universitytickets.com<http://centralstate.universitytickets.com/>. 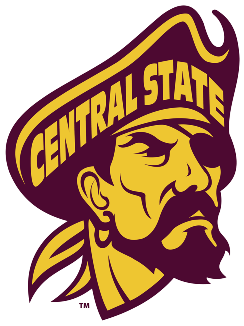 For additional information on this year’s Central State Hall of Fame inductees and guest speakers, visit – https://maraudersports.com<https://maraudersports.com/>.